Last year, we saw Samsung tackling the whole “use your phone as a PC” concept for the first time. 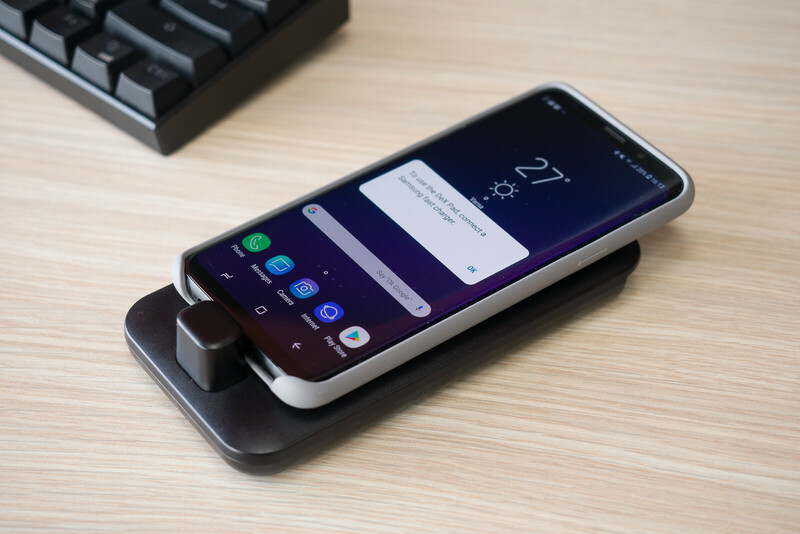 By attaching a Galaxy S8 flagship phone to the special Samsung DeX Station and plugging in a monitor, mouse, and keyboard, one was able to get a pretty convincing basic desktop experience driven by their phone's processing power. Now, we get a new kind of DeX – the DeX Pad. 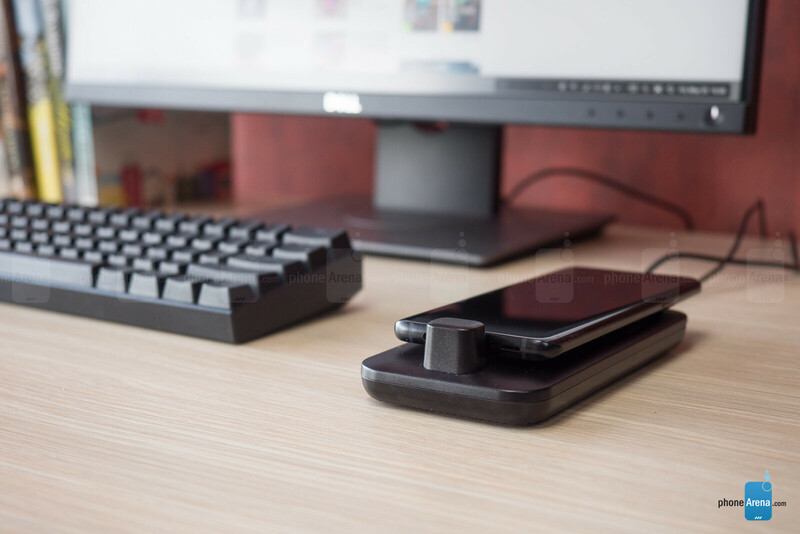 Meant as a successor to last year’s model, the Pad has a slightly different form factor which allows access to the phone’s headphone jack and is specifically designed to complement the new touchpad feature. So, let’s take a closer look at the new hardware and check how far the software has gone over the past year! Unlike the DeX Station, which was a nice, heavy puck with a satisfying opening mechanism, the DeX Pad is pretty much just a plastic slab. 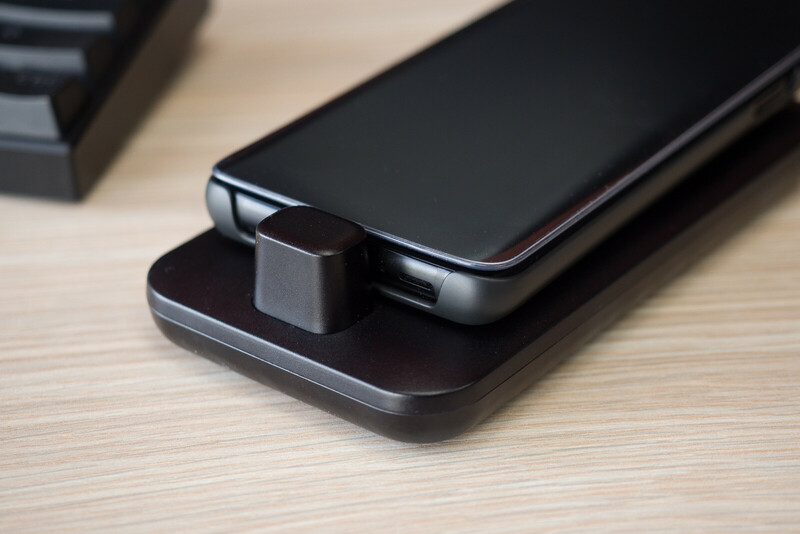 It doesn’t feel like cheap plastic, and we do appreciate that the USB Type-C connector for the phone has some swivel to it – this makes it easy to plug in and remove the handset without causing any damage. 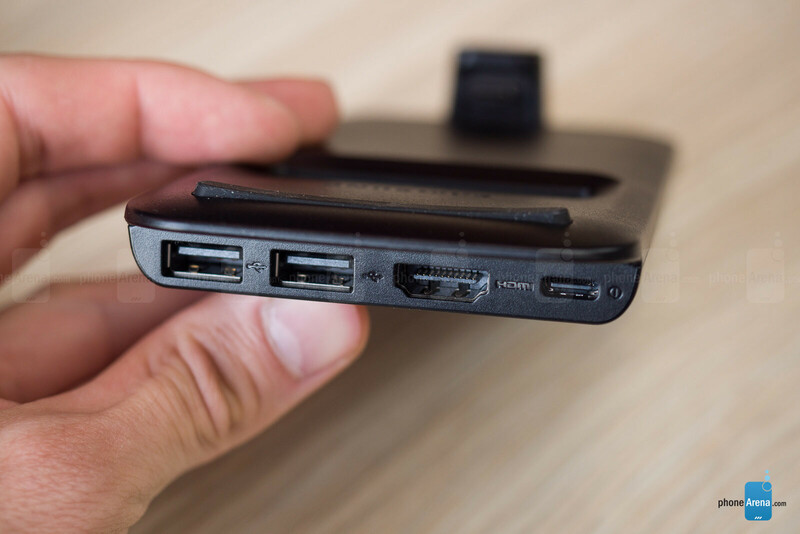 We still have two USB ports on the back to connect peripherals to, a full-sized HDMI port for a monitor, and a USB Type-C one for charging – you can’t use DeX if it isn’t powered. And yes, we do get a wall adapter and a USB Type-C cable in the box. There is no ethernet port this time around, so you’ll have to rely on the phone’s Wi-Fi or cellular connectivity for internet access. It’s also worth noting that since the phone is not propped up and facing you, the DeX Pad is less convenient for video calls than last year's DeX Station. But we do appreciate that the phone's headphone jack is now accessible, allowing us to use a wired headset. There’s still a fan inside to prevent your phone from overheating, and it managed to keep the Note 8 we used for our tests at an OK temperature, as we surfed through, tested apps, and pushed our luck with multitasking for hours on end. The whole DeX Pad unit is rather compact and pretty light. Technically, that makes it very easy to carry around, but since you still need a monitor and a power outlet wherever you are going to use it, we kind of feel this point is moot. When introducing the DeX Pad, Samsung boasted that a keyboard and mouse may no longer be necessary when using DeX. Just a monitor could suffice. That’s because when hooked to the new Pad, your Galaxy phone transforms into a touchpad for the mouse cursor. There’s also a virtual keyboard now, in case you need to write something but have no peripherals on hand. However, these are not really great for use. The mousepad’s sensitivity is quite uneven – swiping horizontally moves the cursor much, much faster than when swiping vertically. It’s usable, but not very precise. 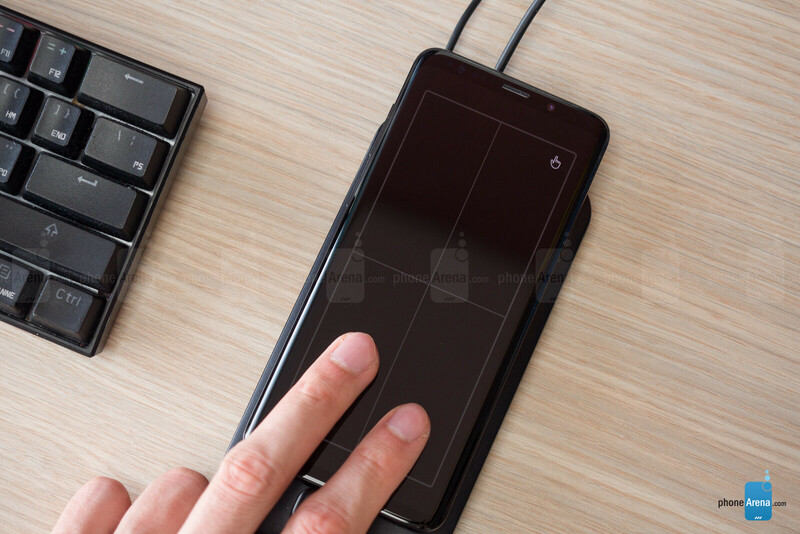 The virtual keyboard is exactly what it sounds like – a tiny keyboard pops up on the phone's screen and you can write by plucking at its tiny keys. Far from optimal, but at least it's there. Unfortunately, that specific feature did not work on our unit — perhaps a software update is en route. Apparently, over the last year, 3rd-party developers have been working to update their apps for DeX mode. Either that, or Samsung fixed some incompatibility issues with software updates to the system. While last year we had trouble when trying to launch some apps which declined to run in DeX at all, this year we’ve had no such issues. Yes, most 3rd-party apps will still only run in windowed mode with no way to even resize their window, but we didn’t get an app refusing to run at all. Spotify runs in the background just fine, playing chill tunes as we are writing this review into Google Docs. 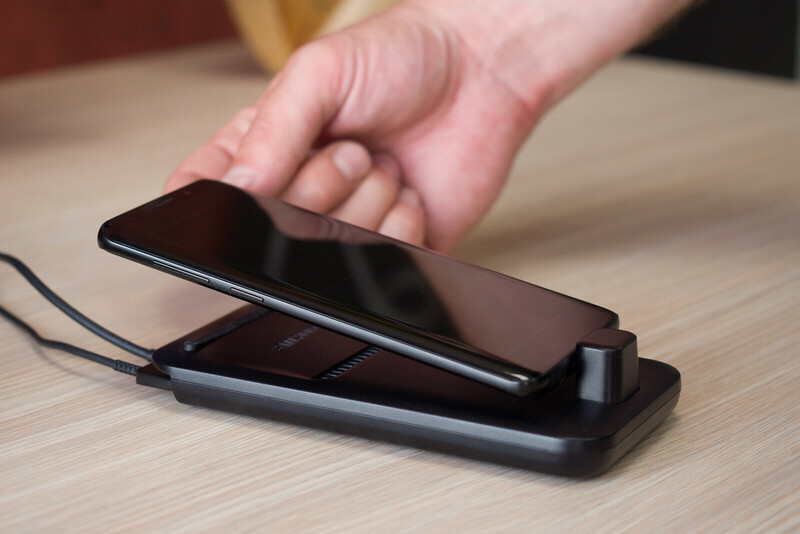 It’s incredibly easy to set up DeX – all you need to do is connect your AC power, HDMI monitor cable, and keyboard and mouse peripherals, then plug the phone in the dock. 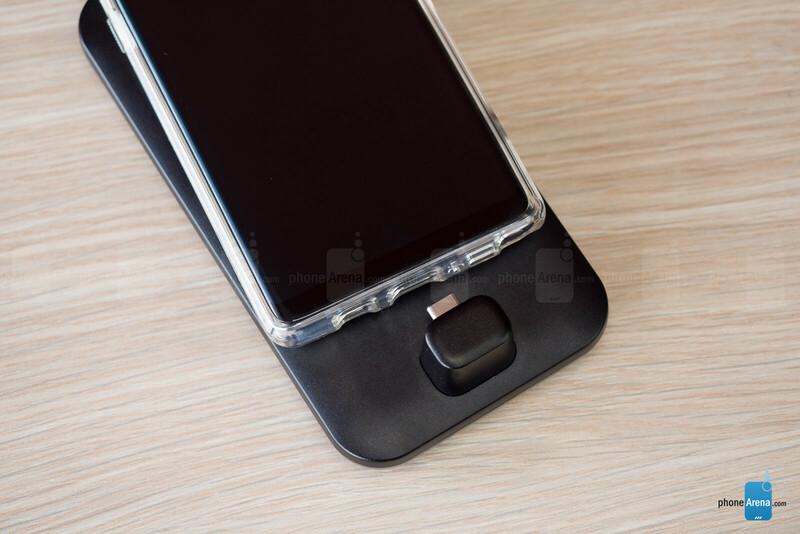 Some cases might not work here — you may have noticed that Samsung's official cases for the Galaxy S9 have a large cutout around the bottom of the device, and these will work with the DeX Station and DeX Pad without issue. Cases that do have some meat covering the phone's bottom frame will not allow for the USB Type-C to click all the way inside the phone, unless they are incredibly thin. Once your DeX dock is connected and set up, it’s pretty impressive how the phone’s processes don’t get interrupted when you swap in and out of DeX mode. For example, we started a conference call over Skype while the phone was docked and in DeX mode. We pulled the phone out and walked away with it without any interruptions in the call whatsoever. What can you do in DeX? It works pretty well for document editing, social media and web-browsing, emails, and chats. You can launch some Android games and play them with the keyboard. Fair warning – the mouse won’t work as intended unless the game developers specifically programmed it to. The DeX experience is no slouch when it comes to multitasking. You can have multiple apps in windows on screen at all times and easily swap between them without many hiccups. Some of them will update their information even if the app is not “in focus” – YouTube will play clips in its own window while you work on something else, Chrome has no trouble loading tabs in the background, Skype will update your messages while it hangs out. Other apps will “freeze” when you click away from their window – not even minimize it – but they are quick to get back to working state when you click back on them. It’s worth noting that all websites will still treat your device as a smartphone. Mobile versions will open up automatically and, sometimes, you will not be able to request the desktop variant of a site, no matter how hard you try. Granted, that’s more the website’s fault, as some of them simply refuse to accept that smartphones in 2018 have plenty of power to run a desktop page. We did have a couple of situations where we pushed our luck a bit too far, and Google Docs crashed on us as we were writing this review, chatting over Skype and listening to YouTube videos in the background. But that was barely an issue, due to the cloud-saving nature of the app, thankfully. Can DeX replace your desktop PC? If all you do on your PC is edit spreadsheets, write text, and browse the Web, then DeX is a pretty competent replacement for your computer. You’ve got the added benefit that your files are always with you, on your phone, with no need to sync with anything – a feature digital nomads will certainly appreciate. You can also do some image editing – Google’s Snapseed, for example, is optimized to work in full screen in DeX mode, which we appreciated. Samsung’s Bandcamp (an answer to Apple’s Garage Band) also runs in full screen, but its UI definitely doesn’t work great with a keyboard and mouse, so our hopes for music production on the DeX were dashed. At least for now. All in all, it’s not a bad solution, but we are still having a hard time imagining a scenario where DeX would be more useful than a Chromebook or a hybrid tablet PC. The fact that DeX needs a power outlet and an external monitor bogs it down in the portability department. If you have a working space at a vacation spot or a room in your house where you don’t want to shell out for full-blown PC, then setting up a DeX station with the required peripherals could work for you there. 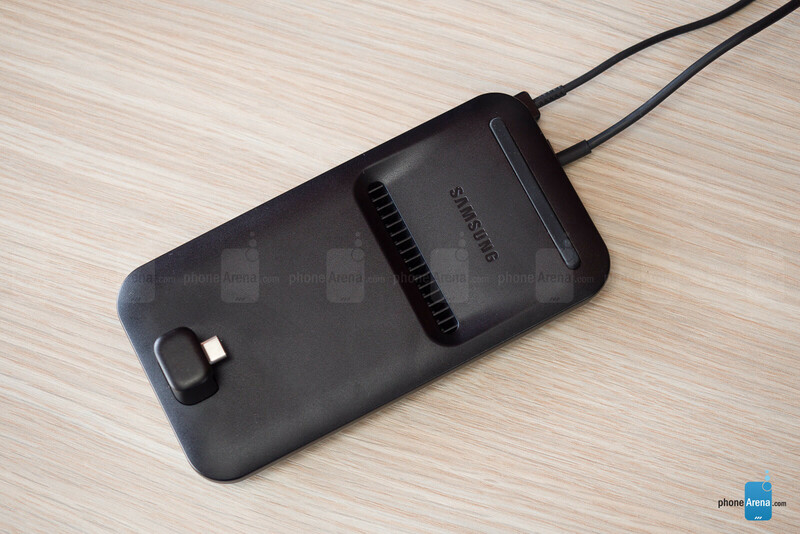 Samsung DeX Pad review unit provided by our friends at MobileFun. The fact that your smartphone has the capability to transform into a computer setup so easily is awesome. Let's not forget that the smartphone its own is already one of the very best smartphones out there, so this is just the cherry on top, especially considering competing brands such as Apple or Google doesn't even have anything like this. as usual, samsung review, all the fans are worried about apple. I had the Motorola Atrix with accessories that did the same thing, I just couldnt find a use for it. If i have to sit down at a desk that already has a keyboard, screen and mouse on it, Im going to use a desktop/laptop instead. While being docked, where does the phone get energy? From battery or external power? I'm asking this in comparison to laptops because when laptops are plugged, it gets energy directly from internal power instead of battery. What I was asking if the Samsung battery is put into stress when used while being docked. IN comparison, Laptop battery is not being used when it's plugged. Desktop mode with Windows is a big failure, of course this would be too. But it's hardly a failure. Cool concept made available during the Motorola Atrix days....Consumers have no interest on creating a smartphone as their desktop. Would definitely use it if you could play games. "The fact that DeX needs a power outlet and an external monitor bogs it down in the portability department" Maybe I'm missing something here, but that seems obvious to me...how can you think of a solution like this without an external monitor? That's the whole purpose, to use your phone's Android environment on a big screen. The context is about portability. The DeX Pad is small, light, and easy to carry around. But that doesn't matter much when you need power and a monitor. So, the concept is great, and it works pretty solidly, but considering the $100 price tag and the fact that it's meant for basic work -- add $100 more and you have a Chromebook that's super-portable. But it's another device with it's separate settings and storage. The point of DeX Pad is to carry your setup and data only on one device. It's in its own category, competing with similar setup from Huawei starting with Mate 10 and old microsoft continuum phones. If only people had a tv with an HDMI port... Right? I don't understand why Samsung won't just let us connect our USB hubs to this instead of DEX to do the same thing. I don't believe it has any functionality over my USB-C to HDMI hub that is used with all laptops and includes pass through USB-C power. Come on Samsung, we don't need DEX to do what you're doing, or to pay the extra money for it. True! Huawei provides the same feature without DeX. A phone is powerful enough to run the necessary tasks for office usage. Samsung (or any other oem) could take the idea Sony had with its Z laptops (a dock with its own memory, videocard, storage) and make a powerful computer system. The comparison with chrome book is correct, but this device allows one to connect a real 4-5k display (20-30"), maybe a TV, while the book is only 12-13", and that is its real power. I have the previous version of Dex. It works well for some things but tou couldn't work with Google maps well at all. I haven't tried to use my 9+ to see if it works with the older Dex yet. I had the original DeX Station with my S8+ and from what I'm reading here, it still doesn't come close to Continuum on Windows 10 Mobile. The ONLY function that DeX always had over Continuum is the windowed experience. Continuum had a task switcher but that was it. I would have rated it much lower since the competing system has a functional trackpad, doesn't require a powered connection, can take calls while connected without dropping the connection, has ethernet capability (depending on the dock) and most importantly, was available wirelessly if the monitor supported it.